Gulhane Medical Faculty Radiation Oncology Department. Associate Professor Selcuk DEMIRAL was born in Ankara in 1980. He graduated from Kuleli Military High School in 1998 and Gulhane Military Medical Academy in 2004 before going on to specialize in Radiation Oncology. After his residency between 2007 and 2011, he became a specialist at Radiation Oncology Department of Gulhane Military Medical School in Ankara. 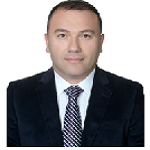 He became Associate Professor in 2016 and currently works at University of Health Sciences Gulhane Medical Faculty Radiation Oncology Department. Associate Professor Selcuk DEMIRAL has authored numerous articles in peer-reviewed journals along with national and international book chapters. 1: Sager O, Dincoglan F, Demiral S, Uysal B, Gamsiz H, Elcim Y, Gundem E, Dirican B, Beyzadeoglu M. Utility Of Molecular Imaging With 2-Deoxy-2-[Fluorine-18] Fluoro-D-Glucose Positron Emission Tomography (18f-Fdg Pet) For Small Cell Lung Cancer (Sclc): A Radiation Oncology Perspective. Curr Radiopharm. 2018 Nov 20. doi: 10.2174/1874471012666181120162434. [Epub ahead of print] PubMed PMID:30465520. 2: Sager O, Dincoglan F, Uysal B, Demiral S, Gamsiz H, Elcim Y, Gundem E, Dirican B, Beyzadeoglu M. Evaluation of adaptive radiotherapy (ART) by use of replanning the tumor bed boost with repeated computed tomography (CT) simulation after whole breast irradiation (WBI) for breast cancer patients having clinically evident seroma. Jpn J Radiol. 2018 Jun;36(6):401-406. doi: 10.1007/s11604-018-0735-2. Epub 2018 Apr 5. PubMed PMID: 29623550. 3: Iyigun E, Tastan S, Gezginci E, Korkmaz S, Demiral S, Beyzadeoglu M. Cross-Cultural Adaptation and Psychometric Evaluation of the Turkish Version of the Cancer Behavior Inventory-Brief Version. J Pain Symptom Manage. 2017 Dec;54(6):929-935. doi: 10.1016/j.jpainsymman.2017.08.006. Epub 2017 Aug 12. PubMed PMID: 28807698. 4: Demiral S, Dincoglan F, Sager O, Gamsiz H, Uysal B, Gundem E, Elcim Y, Dirican B, Beyzadeoglu M. Hypofractionated stereotactic radiotherapy (HFSRT) for who grade I anterior clinoid meningiomas (ACM). Jpn J Radiol. 2016 Nov;34(11):730-737. Epub 2016 Sep 22. PubMed PMID: 27659448. 5: Gamsiz H, Beyzadeoglu M, Sager O, Dincoglan F, Uysal B, Demiral S, Gundem E, Dirican B. Evaluation of mycosis fungoides management by total skin electron beam therapy with "translational technique". J BUON. 2015 Jul-Aug;20(4):1124-31. PubMed PMID: 26416066. 6: Demiral S, Beyzadeoglu M, Sager O, Dincoglan F, Uysal B, Gamsiz H, Akin M, Turker T. Evaluation of transforming growth factor-β2 for radiation-induced diarrhea after pelvic radiotherapy. Tumori. 2015 Sep-Oct;101(5):474-7. doi: 10.5301/tj.5000328. Epub 2015 May 12. PubMed PMID: 25983098. 7: Uysal B, Demiral S, Gamsiz H, Dincoglan F, Sager O, Beyzadeoglu M. Castleman's disease and radiotherapy: a single center experience. J Cancer Res Ther. 2015 Jan-Mar;11(1):170-3. doi: 10.4103/0973-1482.140766. PubMed PMID: 25879357. 8: Dincoglan F, Beyzadeoglu M, Sager O, Demiral S, Gamsiz H, Uysal B, Ebruli C, Akin M, Oysul K, Sirin S, Dirican B. Management of patients with recurrent glioblastoma using hypofractionated stereotactic radiotherapy. Tumori. 2015 Mar-Apr;101(2):179-84. doi: 10.5301/tj.5000236. Epub 2015 Mar 19. PubMed PMID: 25791534. 9: Uysal B, Beyzadeoglu M, Demiral S, Gamsiz H, Dincoglan F, Sager O, Akin M, Babayigit MA. Outcomes of trimodality approach in the management of T2N0M0 bladder cancer. Tumori. 2015 Mar-Apr;101(2):232-7. doi: 10.5301/tj.5000294. Epub 2015 Mar 9. PubMed PMID: 25768321. 10: Sager O, Beyzadeoglu M, Dincoglan F, Demiral S, Uysal B, Gamsiz H, Akin M, Gundem E, Dirican B. Adaptive splenic radiotherapy for symptomatic splenomegaly management in myeloproliferative disorders. Tumori. 2015 Jan-Feb;101(1):84-90. doi: 10.5301/tj.5000221. Epub 2015 Feb 3. PubMed PMID: 25702680. 11: Gamsiz H, Beyzadeoglu M, Sager O, Demiral S, Dincoglan F, Uysal B, Onal E, Dirican B. Evaluation of stereotactic body radiation therapy in the management of adrenal metastases from non-small cell lung cancer. Tumori. 2015 Jan-Feb;101(1):98-103. doi: 10.5301/tj.5000222. Epub 2015 Feb 5. PubMed PMID: 25702673. 12: Demiral S, Beyzadeoglu M, Sager O, Dincoglan F, Uysal B, Gamsiz H, Akin M, Turker T, Dirican B. Evaluation of treatment outcomes of early-stage endometrial cancer radiotherapy: a single center experience. Asian Pac J Cancer Prev. 2014;15(22):9599-602. PubMed PMID: 25520073. 13: Dincoglan F, Sager O, Gamsiz H, Uysal B, Demiral S, Oysul K, Sirin S, Caglan A, Beyzadeoglu M. Management of patients with ≥4 brain metastases using stereotactic radiosurgery boost after whole brain irradiation. Tumori. 2014 May-Jun;100(3):302-6. doi: 10.1700/1578.17210. PubMed PMID: 25076242. 14: Sager O, Beyzadeoglu M, Dincoglan F, Gamsiz H, Demiral S, Uysal B, Oysul K, Dirican B, Sirin S. Evaluation of linear accelerator-based stereotactic radiosurgery in the management of glomus jugulare tumors. Tumori. 2014 Mar-Apr;100(2):184-8. doi: 10.1700/1491.16409. PubMed PMID: 24852863. 15: Gamsiz H, Beyzadeoglu M, Sager O, Dincoglan F, Demiral S, Uysal B, Surenkok S, Oysul K, Dirican B. Management of pulmonary oligometastases by stereotactic body radiotherapy. Tumori. 2014 Mar-Apr;100(2):179-83. doi: 10.1700/1491.16407. PubMed PMID: 24852862. 16: Uysal B, Beyzadeoglu M, Sager O, Demıral S, Gamsız H, Dıncoglan F, Akın M, Dırıcan B. Role of radiotherapy in the management of heel spur. Eur J Orthop Surg Traumatol. 2015 Feb;25(2):387-9. doi: 10.1007/s00590-014-1482-4. Epub 2014 May 17. PubMed PMID: 24838575. 17: Sager O, Beyzadeoglu M, Dincoglan F, Uysal B, Gamsiz H, Demiral S, Oysul K, Dirican B, Sirin S. Evaluation of linear accelerator (LINAC)-based stereotactic radiosurgery (SRS) for cerebral cavernous malformations: a 15-year single-center experience. Ann Saudi Med. 2014 Jan-Feb;34(1):54-8. doi: 10.5144/0256-4947.2014.54. PubMed PMID: 24658554; PubMed Central PMCID: PMC6074929. 18: Sager O, Beyzadeoglu M, Dincoglan F, Demiral S, Uysal B, Gamsiz H, Oysul K, Dirican B, Sirin S. Management of vestibular schwannomas with linear accelerator-based stereotactic radiosurgery: a single center experience. Tumori. 2013 Sep-Oct;99(5):617-22. doi: 10.1700/1377.15312. PubMed PMID: 24362867. 19: Dincoglan F, Beyzadeoglu M, Sager O, Uysal B, Demiral S, Gamsiz H, Dirican B. Evaluation of linear accelerator-based stereotactic radiosurgery in the management of meningiomas: a single center experience. J BUON. 2013 Jul-Sep;18(3):717-22. PubMed PMID: 24065489. 20: Uysal B, Sager O, Gamsiz H, Cicek A, Demiral S, Dincoglan F, Surenkok S, Demiriz M, Beyzadeoglu M. Evaluation of the role of radiotherapy in the management of dermatofibrosarcoma protuberans. J BUON. 2013 Jan-Mar;18(1):268-73. PubMed PMID: 23613415. 21: Dincoglan F, Beyzadeoglu M, Sager O, Oysul K, Kahya YE, Gamsiz H, Uysal B, Demiral S, Dirican B, Surenkok S. Dosimetric evaluation of critical organs at risk in mastectomized left-sided breast cancer radiotherapy using breath-hold technique. Tumori. 2013 Jan-Feb;99(1):76-82. doi: 10.1700/1248.13792. PubMed PMID: 23549004. 22: Uysal B, Beyzadeoğlu M, Sager O, Dinçoğlan F, Demiral S, Gamsız H, Sürenkök S, Oysul K. Dosimetric evaluation of intensity modulated radiotherapy and 4-field 3-d conformal radiotherapy in prostate cancer treatment. Balkan Med J. 2013 Mar;30(1):54-7. doi: 10.5152/balkanmedj.2012.075. Epub 2013 Mar 1. PubMed PMID: 25207069; PubMed Central PMCID: PMC4116026. 23: Demiral S, Beyzadeoglu M, Uysal B, Oysul K, Kahya YE, Sager O, Dincoglan F, Gamsiz H, Dirican B, Surenkok S. Evaluation of stereotactic body radiotherapy (SBRT) boost in the management of endometrial cancer. Neoplasma. 2013;60(3):322-7. doi: 10.4149/neo_2013_043. PubMed PMID: 23374003. 24: Dincoglan F, Beyzadeoglu M, Sager O, Oysul K, Sirin S, Surenkok S, Gamsiz H, Uysal B, Demiral S, Dirican B. Image-guided positioning in intracranial non-invasive stereotactic radiosurgery for the treatment of brain metastasis. Tumori. 2012 Sep-Oct;98(5):630-5. doi: 10.1700/1190.13205. PubMed PMID: 23235759. 25: Sager O, Beyzadeoglu M, Dincoglan F, Oysul K, Kahya YE, Gamsiz H, Uysal B, Demiral S, Dirican B, Surenkok S. Evaluation of active breathing control-moderate deep inspiration breath-hold in definitive non-small cell lung cancer radiotherapy. Neoplasma. 2012;59(3):333-40. doi: 10.4149/neo_2012_043. PubMed PMID: 22296503.